Toenail fungus is a common, frustrating, and particularly pesky condition millions of Americans deal with on a daily basis. It can cause your nails to become discolored, thick, brittle, and separated from the nail bed. If left untreated, it can lead to infections and other complications. Even when toenail fungus treatment appears to be successful and visible symptoms subside, repeat infections are a frequent occurrence. 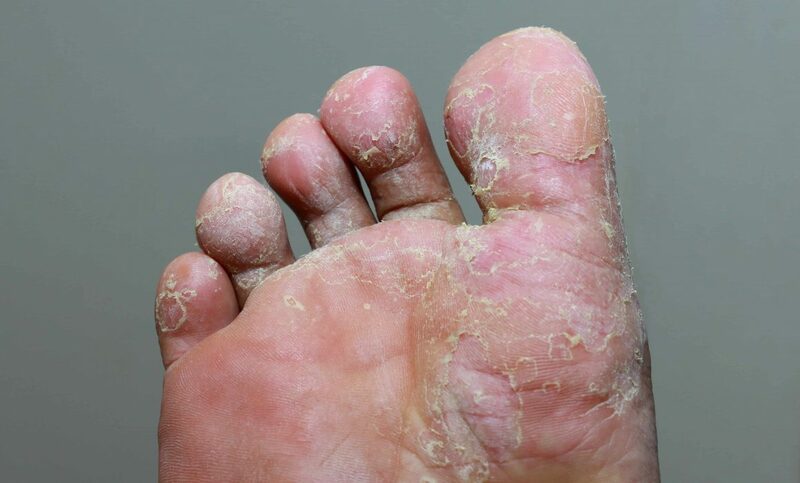 Treating nail fungus can significantly reduce the chances of recurrent infection. Severe toenail fungus may cause permanent damage to your nail, while infections can spread beyond your feet, particularly in individuals with diabetes or suppressed immune systems. Some cases of toenail fungus can be resolved with at-home or over-the-counter anti-fungal remedies. But many fungi put up a tenacious fight or progress to a point where professional treatment is the only way to solve the problem. If you’ve developed toenail fungus and have been unable to resolve the issue on your own, we can help. We offer several effective treatment options for eliminating toenail fungus and restoring your feet to optimal health. Oral anti-fungal medications. Prescription medications such as terbinafine (Lamisil) and itraconazole (Sporanox) can help a new nail grow free of infection over the course of six to 12 weeks, slowly replacing the infected nail. Medicated nail polish. Another option called ciclopirox (Penlac), an anti-fungal nail polish that you apply to infected nails and surrounding skin once a day. After every seven days, you’ll wipe the piled-on layers clean with alcohol and begin applying again, repeating this process for up to a year. Medicated nail cream. Patients rub anti-fungal creams into infected nails after soaking in an effort to penetrate get through the hard nail surface to attack the underlying fungus. In some advanced cases of toenail fungus, the nail may need to be removed entirely so that a fresh, healthy nail can grow in its place. It usually takes about a year for the new nail to grow in fully, and we treat the nail bed with antifungal agents to disinfect the area. The experienced podiatrists at JAWS podiatry in Hollywood, Florida know how frustrating toenail fungus can be. We welcome the opportunity to help you solve this common problem. For a personal evaluation and to learn more about our toenail fungus treatment options, please contact us online or call us at (954) 922-7333. Ignoring a problem doesn’t make it go away. This is particularly true when it comes to health issues. Dismissing a health problem as minor or just hoping that it resolves itself usually makes things worse. Such can be the case with toenail fungus. If you develop this common condition, don’t just treat it as an unattractive annoyance. If you fail to treat toenail fungus, it can lead to severe infections that can keep you off your feet – or worse. Toenail fungus is highly contagious and quickly spread. You can get it walking on wet surfaces, at a nail salon, or anywhere your feet come into contact with a surface where the fungus lives. The fungus may make your toenails discolored, thick, brittle, and separated from the nail bed. Since toenail fungus is a living, growing organism, it may take some time between the time you come into contact with the fungus and the time symptoms become visible. When you do realize that you may have an issue with toenail fungus, there are plenty of over-the-counter anti-fungal ointments and creams that can help resolve the issue. For particularly stubborn or severe cases, JAWSpodiatry offers an advanced, innovative, safe, and effective treatment for toenail fungus called Clearanail sometimes called the “silver bullet” for attacking and curing toenail fungus.